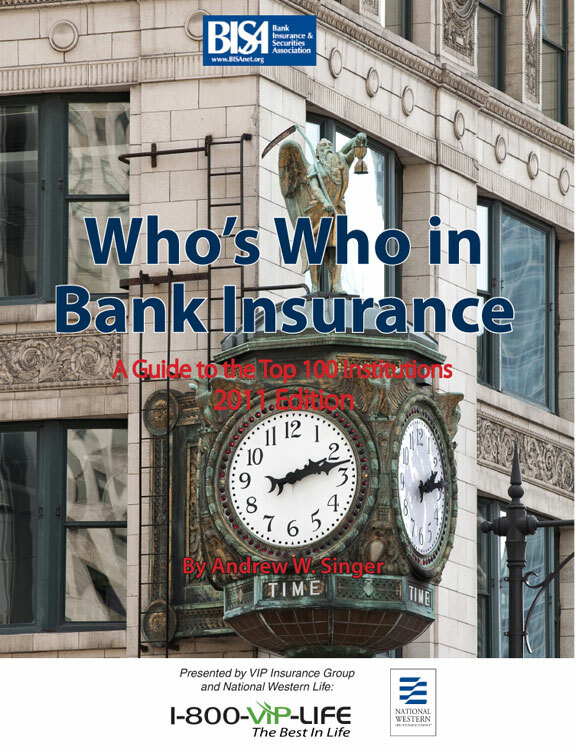 "Who's Who in Bank Insurance has proven a critical tool both for our understanding of the bank insurance marketplace as well as for our marketing efforts to insurance professionals at banks. 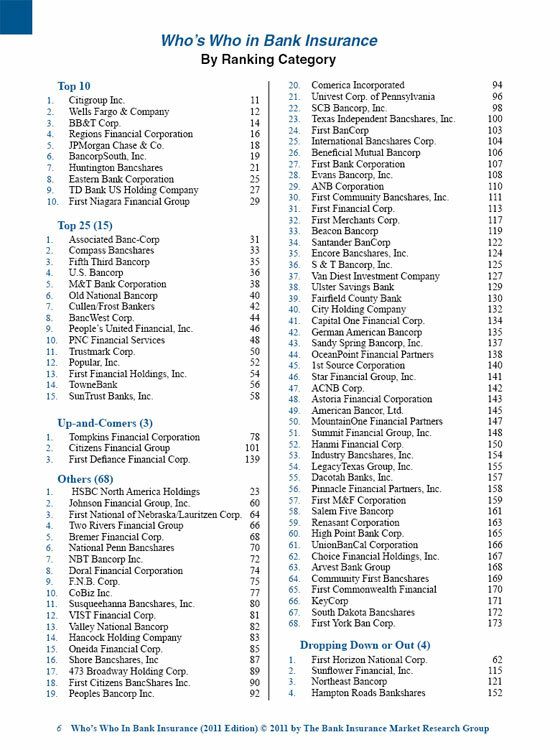 Kudos to BIMRG for bringing such clarity to this important market." 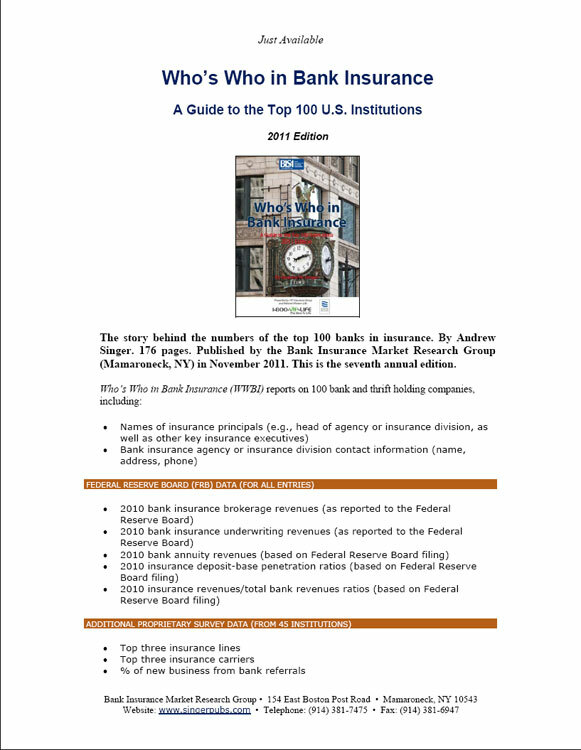 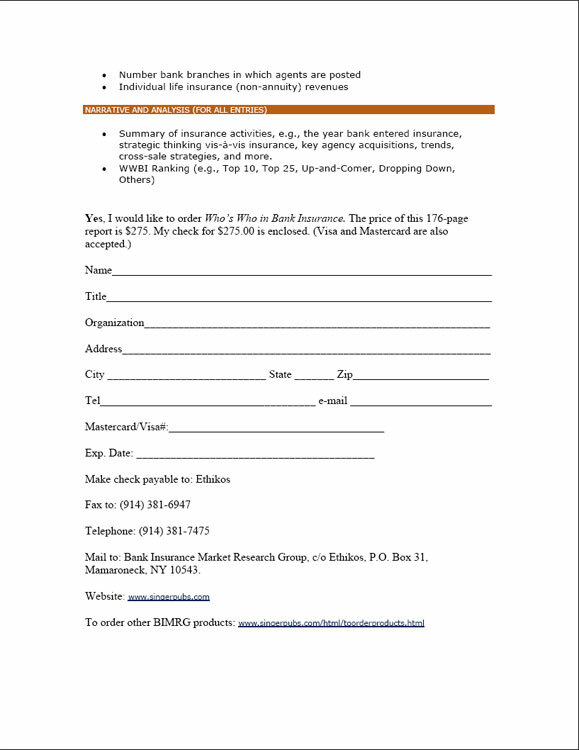 Click here to see WWBI 2011 contents and index pages.